Buy with confidence from a 100% feedback seller!! This is a Genuine Technics Part. This adapter is from the SL1200G (grand class) the top of the line in the SL1200 range. Will fit any of the SL1200 or 1210 range. EP RECORD ADAPTER. Zomo faceplate black for Technics MK1 and MK2. Condition is New. Dispatched with Royal Mail 2nd Class. 1 x Technics SL-1200/ 1210 Turntable Dust Cover. 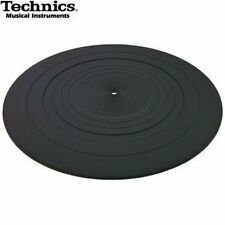 1 x Technics SL-1200/ 1210 Turntable Lid/ Dust Cover #A9. We can sort it out much quicker than opening cases etc. Mistakes and errors do happen, and I want to resolve any issues as quickly as possible. If you leave off the cable clamp then all the strain of the cable is on the circuit board, not a good idea. BEWARE OF OTHER NON GENUINE CHEAPER CABLES THAT ARE TOO LARGE AND TOO FAT TO FIT IN THE CABLE CLAMP. Technics 1200/1210 Dust Cover Lid SMOKED, BRAND NEW. Technics 1200/1210 Dust Cover Lid. SMOKED lid type with the newer "Technics" logo. The item will fit Technics 1200/1210 mk2 onwards. Original Panasonic Technics factory item, made in Japan. This is a Genuine Technics Part. E-Bay unfairly penalise us if you do. These pitch fader / slider PCB / circuit boards are custom made new parts and fit MK2 versions of the industry standard deck SL1210 / SL1200 deck. 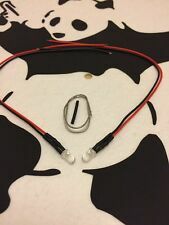 This version is for Mk2 only and also has connections for an external illuminated 0% reset switch should you wish to fit one. This can also be supplied in a Matt black finish. So our record speaks for itself. This kit is designed to last! To fit this kit it’s as simple as lift off the platter, Remove the 5 screws from the plastic cover, remove the 2 screws from the existing cable grip. 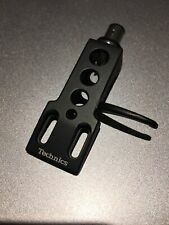 SFPRT17201K Genuine Technics Tone Arm Rest Fits SL1200 SL1210 and many more. SFPRT17201K is now supersed by SFPRT17201K1 and is identical. This is a Genuine Technics Part. E-Bay unfairly penalise us if you do. 5 out of 5 stars - SFPRT17201K Genuine Technics Tone Arm Rest Fits SL1200 SL1210 and many more. 45 product ratings45 product ratings - SFPRT17201K Genuine Technics Tone Arm Rest Fits SL1200 SL1210 and many more. Technics themselves stared using led's for pop up lights in their later models as I'm sure we all know there's one thing that always goes eventually on a 1200/1210 and that's the Target/Pop up light. 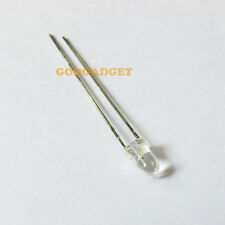 Technics supplied parts - LED, LED insulator, and mounting bracket. This part is 100% genuine from Technics. The image shows the actual part supplied. Once you have received your item we are on hand to help in any way that we can and we regard our aftersales care to be of the utmost importance. This is a Genuine Technics Part. Price is for 1. E-Bay unfairly penalise us if you do. You must still have the plate that the mains cable passes through. Disconnect the mains before fitting (have to say that don't we). Fits 0.75mm flat 2 core cable. Technics sl1200 arm fully serviced and with external wire Upgrade. ready to plug and play into your technics sl1200 or sl1210 turntables. 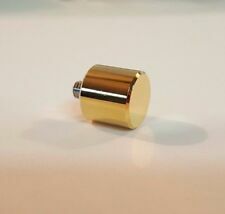 Gold phono plugs and external earth lead. Arm VTA adjuster ring regressed. 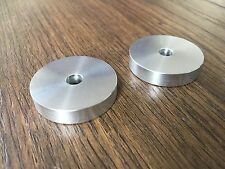 These V2.0 version POWDER COATED WHITE pitch trims have been re-manufactured exclusively for DJSPARES and fit Technics SL1200 / SL1210 Mk2, Mk3 or Mk5 versions of this industry standard deck. Photograph shows the actual re-manufactured item you will receive. 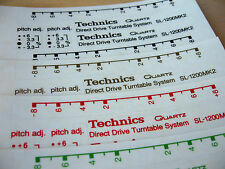 > Technics slipmats are made from the finest and strongest felt material. 1 x Technics SL-1200/ 1210 Turntable Dust Cover. 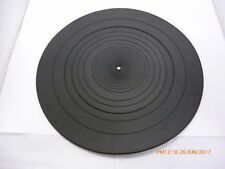 1 x Technics SL-1200/ 1210 Turntable Lid/ Dust Cover #A2. We can sort it out much quicker than opening cases etc. Mistakes and errors do happen, and I want to resolve any issues as quickly as possible.